Good morning ... And congrats to the Washington Capitals, who are headed to the Stanley Cup finals. This might be enough to get me to watch a hockey game, for the first time in my life. The premium for an average "benchmark" plan is 34% higher this year than in 2017, when the rules of the road had been set by the Obama administration. CBO expects premiums for the same set of plans to go up another 15% for 2019, then to level out at about 7% per year after that. As a result, CBO has also bumped up its estimates of how many Americans will be uninsured over the next decade — from 30 million to 34 million people. Why now: Insurance premiums tend to go up every year, but the magnitude of these increases stems largely from the repeal of the ACA's individual mandate, the expansion of skimpy short-term plans, and the decision last year to cut off the law's cost-sharing payments. What's next: Although the administration hasn't teed up any new policy announcements lately, senior officials from the Blue Cross Blue Shield Association told reporters yesterday that there's still reason to be nervous. It's too late to help moderate premium hikes for 2019, they said, so they're focused on 2020. They're hoping new policies like the change in short-term plans won't take effect until 2020, so that they won't upend the market assumptions plans have made for next year. "It continues to be uncertain times," said Justine Handelman, a BCBSA senior vice president. Vox has another installment in its series on emergency room billing, and it's (once again) a doozy. This time, a patient went to an in-network hospital for emergency jaw surgery, but received treatment from an out-of-network surgeon and thus found himself responsible for a nearly $8,000 hospital bill. Why it matters: Even the most responsible of patients — like this one, who made sure the hospital he was in was in-network before undergoing surgery — are getting stuck between insurers and providers who can't agree on rates, finding themselves on the hook for medical bills that the average person can't afford. One study "found as many as one in five emergency room visits led to a surprise bill from an out-of-network provider involved in the care." "Surprise bills are the most common in emergency room visits where the patient is ultimately admitted to the hospital for further treatment. Twenty percent of those patients end up with an out-of-network bill, often from specialists." "Separate data ... finds that a staggering number of Texas emergency rooms have zero in-network emergency physicians — meaning that patients are guaranteed to see a doctor who does not accept their health insurance." 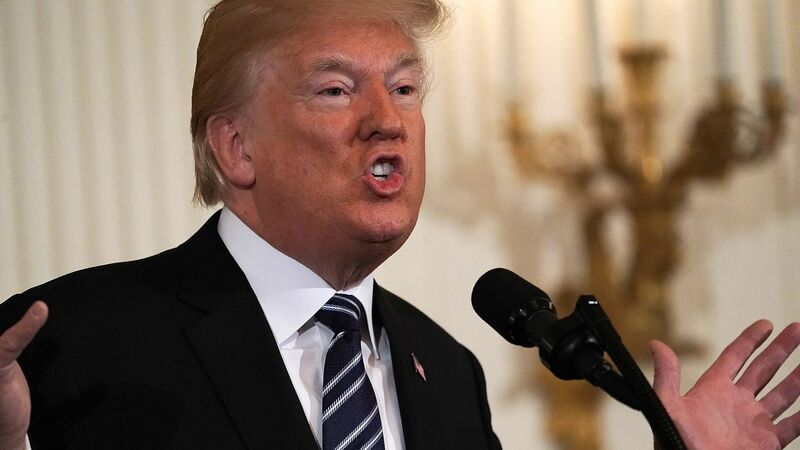 The federal Medicare agency took one of the first tangible steps yesterday toward implementing President Trump’s plan to lower drug costs — except it mainly entailed hyping the plan and then reiterating existing policy. The details: In a letter to Medicare drug plans, Centers for Medicare & Medicaid Services Administrator Seema Verma tackled the issue of “gag clauses” — policies that prevent a pharmacist from telling patients when paying cash would be cheaper than using their insurance. In other words, seniors must already get the better end of the deal that “gag clauses” — which have mainly gotten attention for their use in private insurance — keep secret. Expect more of this. Similar to the FDA’s decision to start publicly naming the drug companies that have been accused of thwarting generic competition, a lot of the early steps here will be more about tone than actual policy changes. The bigger moves will take more time, and some of them may never come to fruition at all. Axios’ Bob Herman flags some edits the Trump administration has made to Medicare’s annual handbook — specifically, edits that promote Medicare Advantage. What they’re saying: Consumer advocates say the federal government is "distorting and mischaracterizing the facts in serious ways." The big changes: A new section of the handbook describes how people in Medicare Advantage plans "have the right to request a preauthorization" for equipment or services, and frames prior authorizations (when the health insurer has to approve care will be covered) as a way to shop. Three Medicare consumer groups wrote to the federal government to say that describing prior authorizations as benefits "twists the facts beyond recognition." The other side: A spokesperson for the Centers for Medicare & Medicaid Services said the agency continues "to modify and improve the content to help consumers make informed health care decisions" and uses feedback from groups "along with multiple rounds of consumer testing to inform the final product." Go deeper: The full list of noteworthy changes. What we're watching today: Senate Finance Committee hearing on rural health care (9 a.m.; livestream). Finance also will consider John Bartrum's nomination to be HHS assistant secretary for financial resources. Get in touch: I love hearing your feedback: baker@axios.com.